If your furnace won’t start, what are the steps that you need to take before calling a repairman so you don’t potentially waste your money? The very first step is to walk over and have a look at your thermostat. If your thermostat is digital and it looks like you can’t see anything on the screen, most likely the batteries have died in your thermostat so your thermostat can’t turn on. Change the batteries out in your thermostat, see if it brings it back to life. If it does, great! You’re already done. If not, then that’s just step one. If it’s not the thermostat’s fault, then the next step that you’re going to want to go through is to go downstairs and go to the furnace’s power switch to see if it’s turned on. Check if it’s on, check if it’s off, make sure that the furnace is getting power. 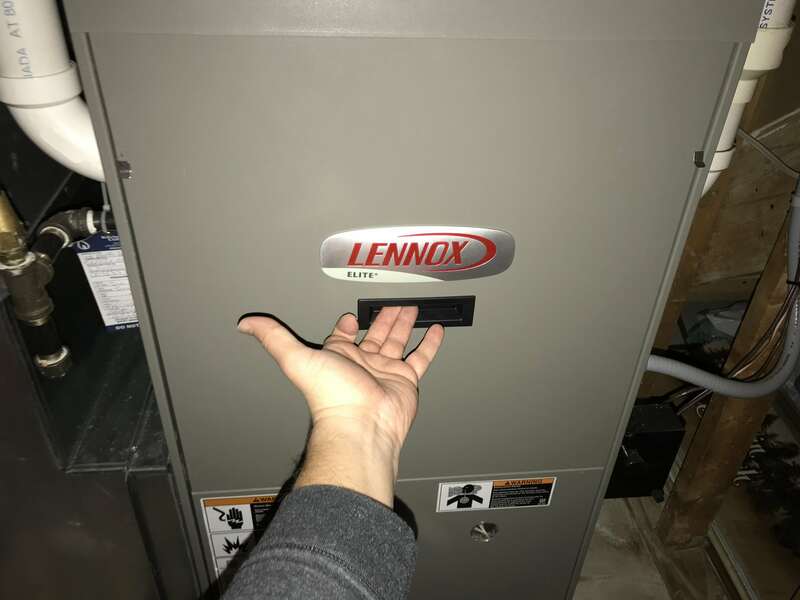 Step three is to look at your furnace, and if it’s a newer furnace (newer than the year 1995) it should have a little indicator light on it that may tell you what the actual problem is with the furnace. Try to find the little flashing light somewhere on the furnace. You should find a code on it. That code is basically telling you what the problem is with the furnace. It might do one long flash and one short flash, or it might do three short flashes and one flash, but the code corresponds with some specific problem on your furnace. Once you established that the furnace is giving you some sort of code, you need to pull the upper or lower panel off the furnace to try and find the chart that tells you what the various codes mean. Then if you look at the code and you look at the chart, it might tell you something like the furnace is overheated, or there’s a pressure switch error or something completely different. At this point in time, unless you’re a very mechanical person, it’s probably advisable to phone a service tech for HVAC. Another alternative is to look at your furnace and if it does not have an indicator, it’s likely older than the year 1995 and it has a pilot light. You may be able to find instructions on your furnace that will tell you how to re-light the pilot light. Each furnace is a little bit different to light. A small word of warning at this point: just because the pilot light can get re-lit does not mean that the pilot light will stay on. Sometimes having the pilot light off indicates that there’s another problem with the furnace, like a thermocouple or a gas valve or a variety of other things. Again, that’s a point in time that you should phone a service tech. Another very important aspect is if the filter is plugged or not. 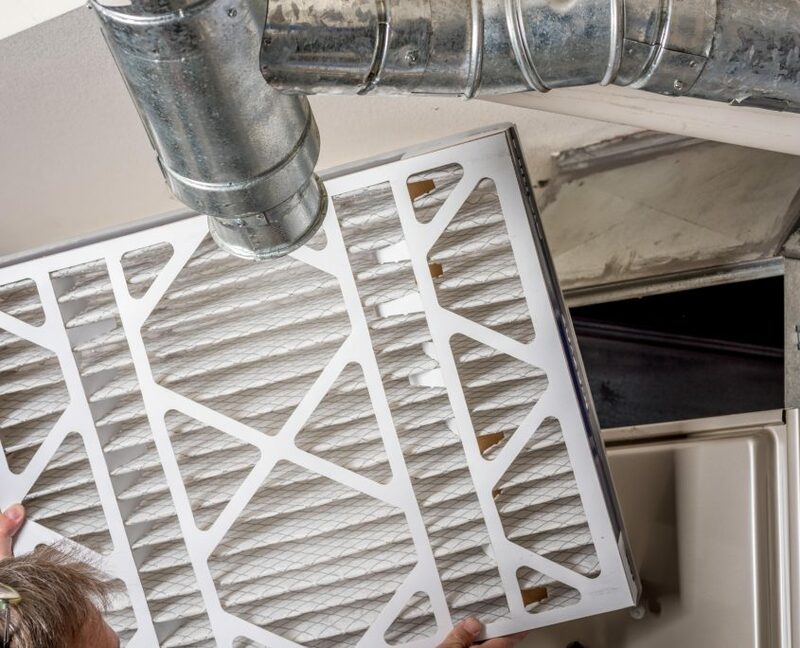 Plugged filters can cause various problems in either furnaces or air conditioning systems, so at that point in time reach to the bottom (or top) of the furnace and pull out the filter and see if it’s plugged or not. If it is plugged, put in a new filter into the system. Again, if you have a newer system (newer than 1995), you can switch the power off and switch it back on again and that can often reset the furnace. A word of warning: that might only be a temporary fix. All the items described above are the initial things that any service tech would check before they started investigating further. Hopefully this can save you a paid service call!